Argentinean wine tycoon Lucio Cruz is not expecting the call that summons him to his estranged wife’s side. She’s suffering a partial loss of memory, and Lucio discovers that she’s returned to being the fiery, affectionate girl with whom he once eloped. Suddenly he can’t resist her—but he knows he must. In just a few weeks, their divorce will be final…. It was a beautiful afternoon, sunny, cloudless, the sky a pristine blue. Anabella Galvàn felt the warmth of the sun inside her, her happiness almost as bright. “Tonight, Lucio, we’re going tonight. It’s finally happening.” She couldn’t help smiling. It was impossible containing her excitement. They were silent for a moment and the warm breeze ruffled Ana’s hair and danced across their skin. Anabella closed her eyes, savoring the afternoon’s warmth, the feel of the sun on the top of her head, the strength of Lucio’s arms. Everything would be perfect now. She and Lucio together. She and Lucio and the baby. She couldn’t forget the baby. The baby made all things possible. His arms tightened around her. His mouth brushed her ear. “This is crazy, you know,” he said, his voice deep. Ana broke free and turned to face him, her hands supporting her on the rough stone and plaster wall. She studied his face, the black brows, dark eyes, long nose, sensual mouth. He was lovely, but what made him lovely wasn’t the symmetry of his features or his imposing size, but rather the beauty on the inside. You could see the fire in his eyes. You could feel his energy. He was so alive. So real. Unlike the people in her world. But his fire didn’t scare her. She loved it. She wanted it. He made her feel big and powerful and free. 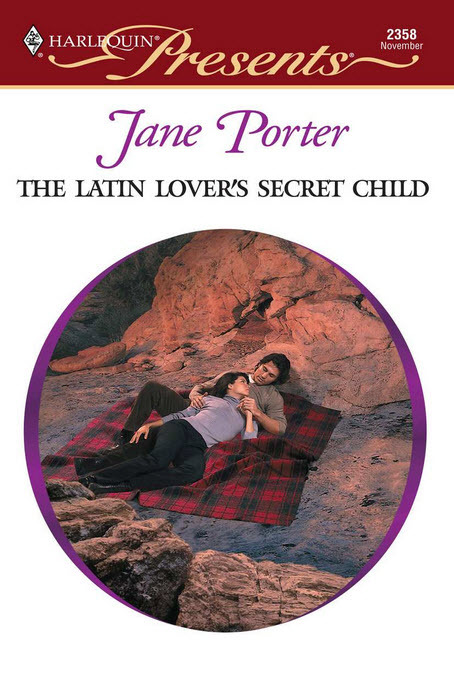 “Jane Porter does alpha males so very well. They may be very alpha but they endear themselves to their chosen ones so that you know that is the forever kind of love. “With her usual grace and unique talent, Jane Porter has put forth, for readers who enjoy daring plots and achingly real characters, another beautiful romance that makes us sit up and appreciate all that love and romance have to offer.